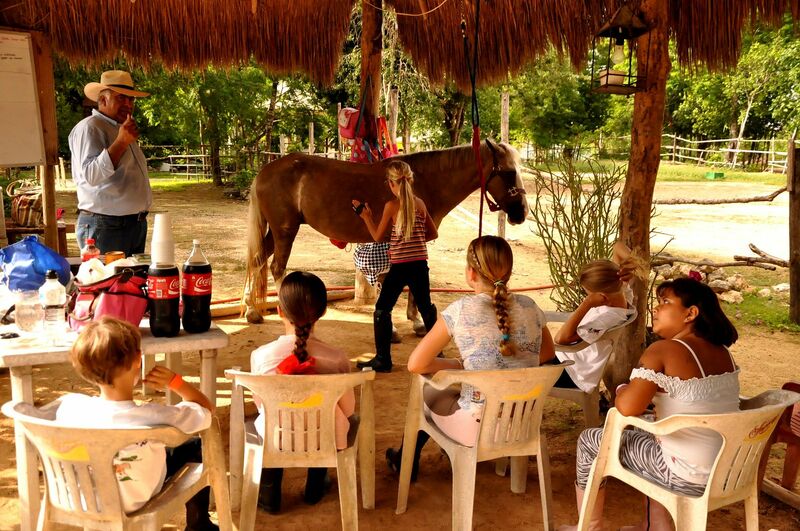 Life's a Beach | Expat Life in Playa del Carmen : Pony Camp in Playa del Carmen! Monday morning, my kids jumped feet first into their summer vacation, arriving bright and early at the barn for the first day of Pony Camp. 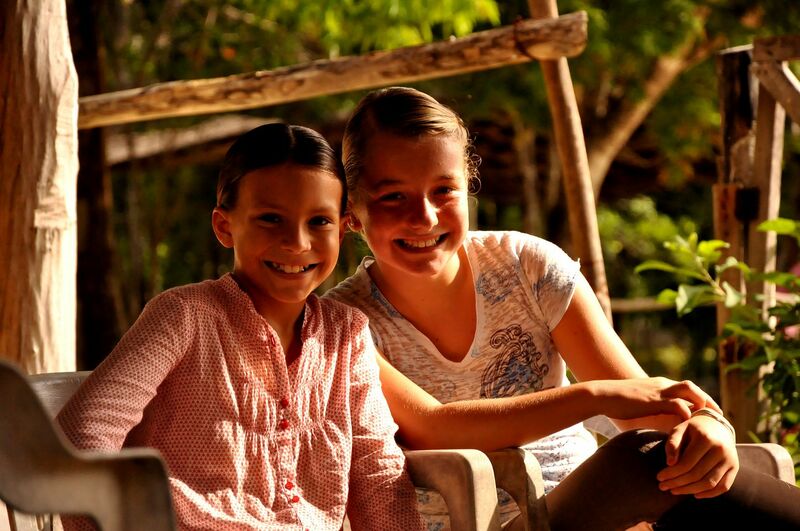 Trainer and club owner Paco Magellon has been running this camp during the school vacations and it is something all the young riders in Playa del Carmen look forward to. Paco is so terrific with the kids and he has passed this special gift along to his son Diego who will be assisting him during this summer session. Monday is a day off for the horses so this morning the group learned how to groom a horse from nose to tail. "Brisa" was a patient subject, standing quietly while each of the children took a turn currying, brushing and picking hooves. 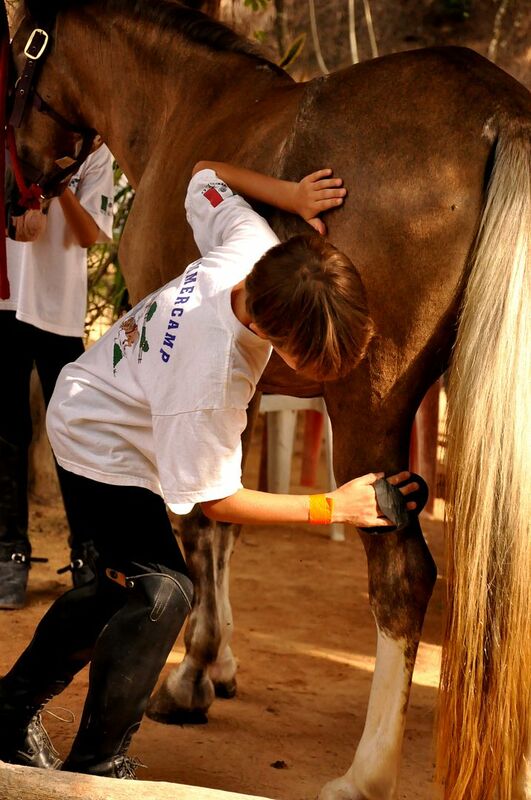 The kids started to learn a bit about the anatomy of the horse and how to care for these majestic beasts. Later on in the day, as the temperature soared, they all cooled off in the cenote! So far, it's a nice mix of Hipico Playa del Carmen students and a few new children just starting their adventure in the world of horses. The children will be able ride Tuesday through Friday and instruction will be available for beginning and intermediate riders. My son Cole started his riding classes during the 2011 Pony Camp during the semana santa break and he has loved it ever since! 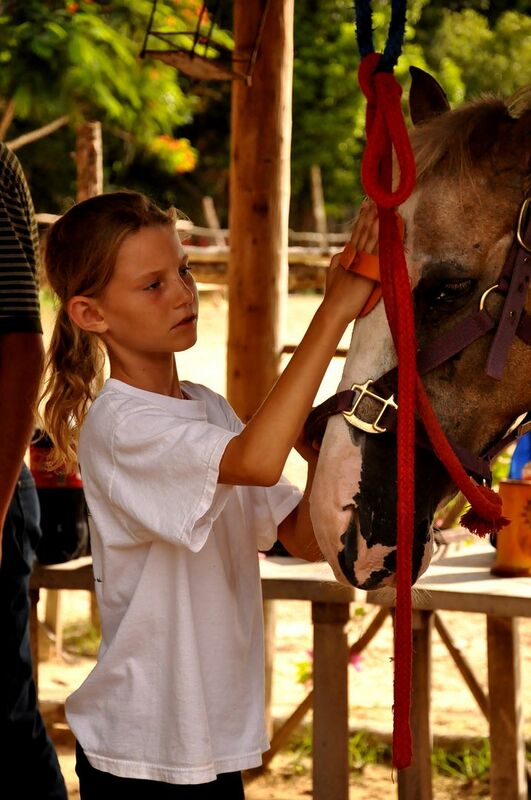 Even if your child has never been on a horse before, you will be amazed how much they will absorb in just a month! We are expecting a few more of Paco's club riders to join the group but there is still plenty of room in this week's session if your children are interested. Paco is bringing the older riders at the club to an intensive horsemanship workshop next week but camp will resume on July 18 and continue on until school year starts. Pony Camp runs Monday through Friday, 8am - 12pm. The cost is $1000 mn per student/per week.